In the Steinway factory (Hamburg) we used 2 kinds of hammer dope, the main one being a metal lacquer. This never really made sense to me, seeing as the stuff just dries concrete-hard – it’s just not very like hammer felt! Much the most of the time, I avoid using dope, as there are other basic ways of hardening up the hammers. But recently, I invented a brilliant hammer dope that dries rubber-hard – much more like hammer felt! 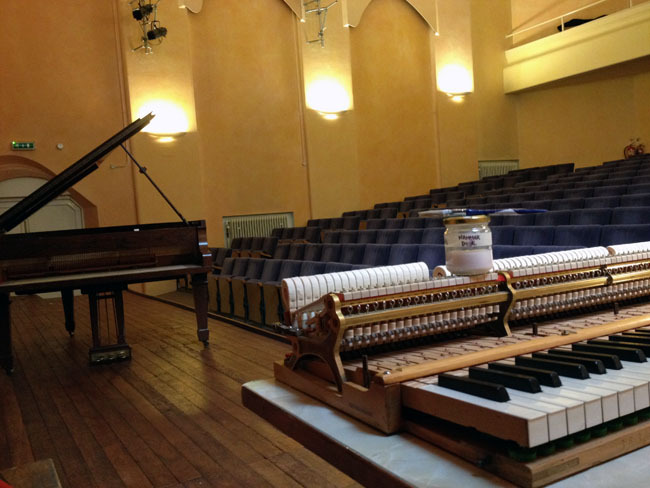 Here’s a picture of my employing it on a Steinway model A in Rudolf Steiner House, London, in preparation for their new International Concert Series…..not that I’m going to give away the recipe! 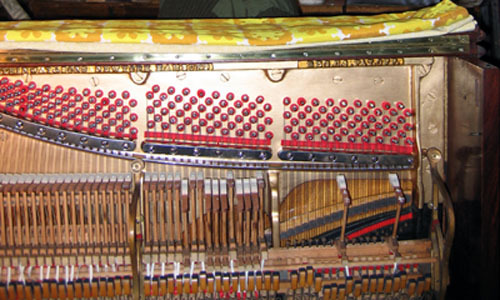 This entry was posted in Technical and tagged hammer dope, International Concert Series, Steinway model A. Bookmark the permalink.